SAY GOODBYE TO MESSY MOLDS! 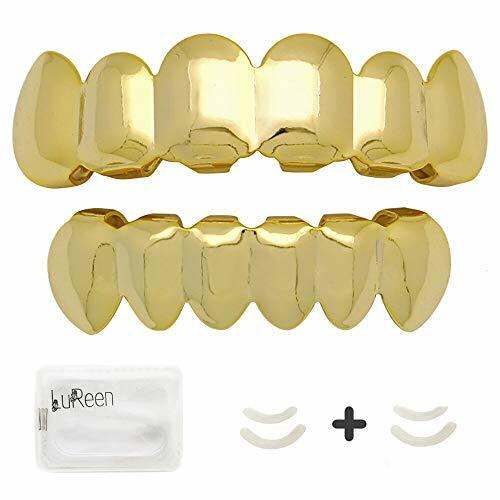 PRODUCT FEATURES: Premium Gold Plating One Size Fits All (Even Crooked Teeth) Easy To Follow Instructions Same Look And Feel As Real Grillz Without Having To Spend Thousands of Dollars! 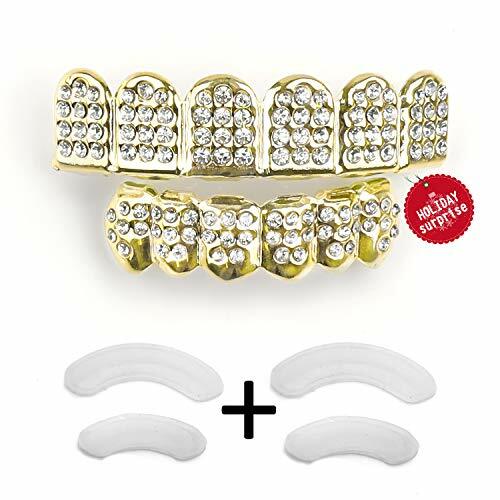 With this easy to use set, you will be wearing your grillz in a matter of minutes! 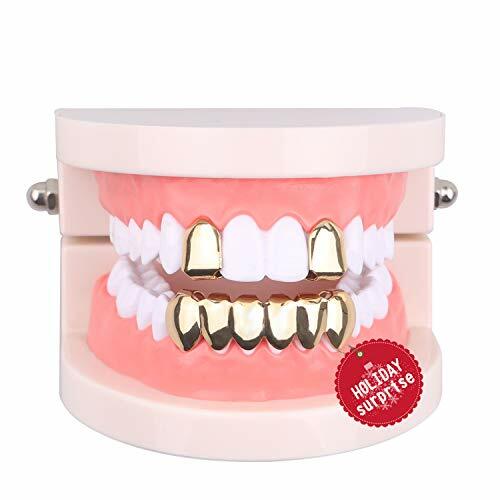 SET COMES WITH: Top and Bottom Grillz 4 Re-sizable Silicon Molding Bars (2 Extra) Instructions Page Each grillz set can fit any teeth no matter how straight or crooked your teeth are. 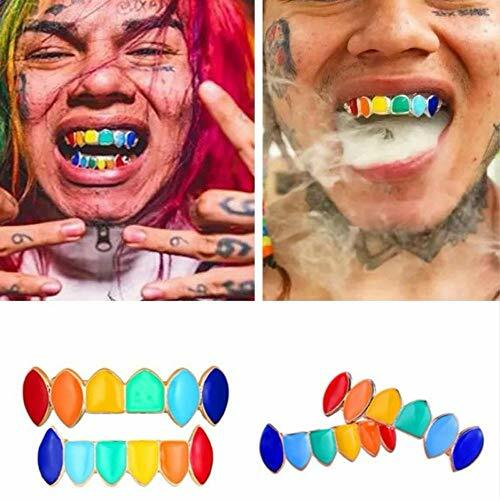 You can put them on and remove them easily. 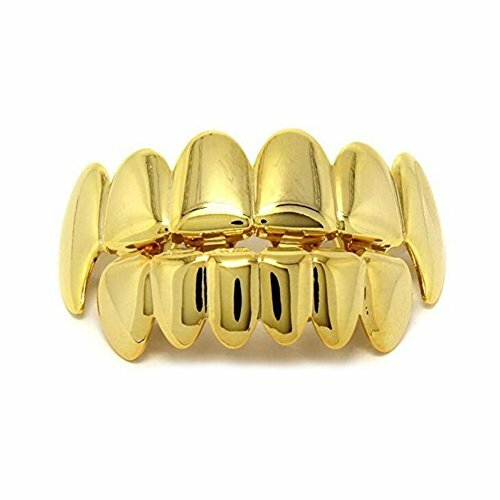 INSTRUCTIONS Adjust adjust the grillz mouthpiece to the shape of your mouth. 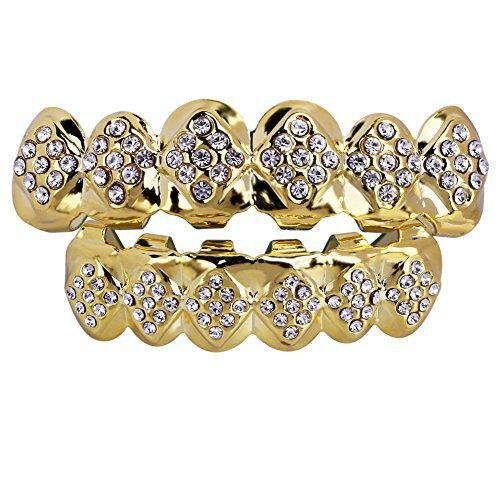 Insert the silicon fixing bar in between the back prongs of the grillz and place both in hot water together. 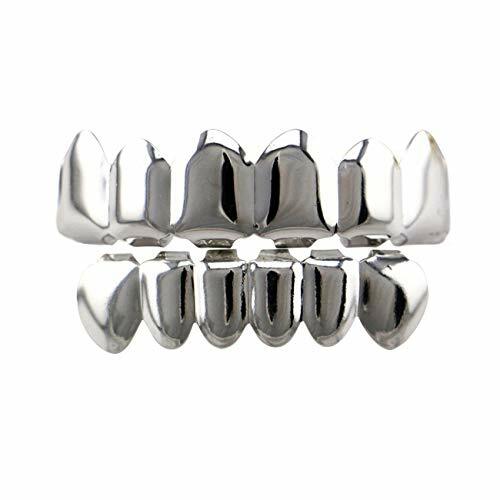 Once the bar softens and becomes clear, remove the mouthpiece from the water and place it onto your teeth. Adjust as necessary for the fit and look you desire. The fixing bar should take approximately 15-20 seconds to harden. 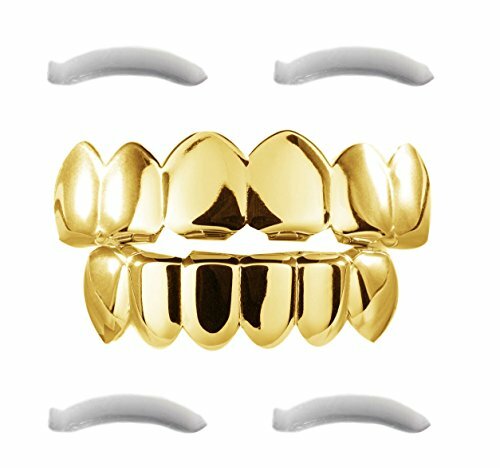 Now you have grillz that fit your teeth perfectly! EASY TO FOLLOW INSTRUCTION PAGE INCLUDED WITH PURCHASE!